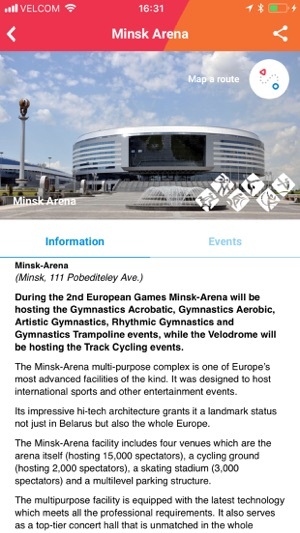 Stay tuned for the latest news from Minsk 2019 and become part of the 2nd European Games through it. There is no need for a username or login. 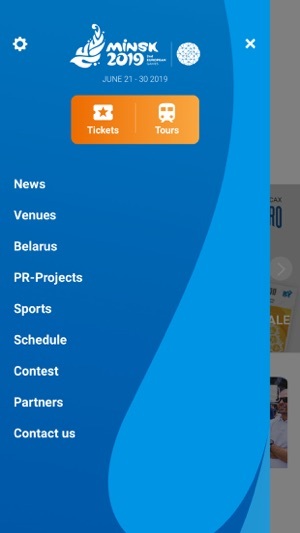 Just download the app, select your favorite sports and receive notifications about them. 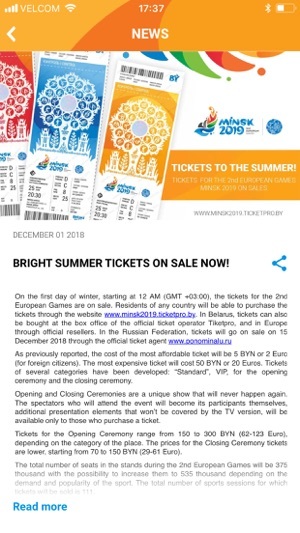 - The latest news on competitions and preparations for the event. Decide which is the most important for you and alter the news-feed according to your interests. 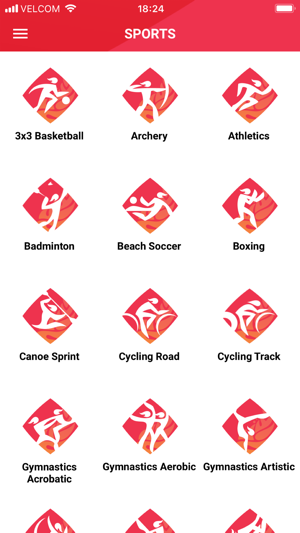 Choose if you want to get notifications about sports or ambassadors or anything else, and stay up to date with related news in your personalized feed. - Your opinion matters! 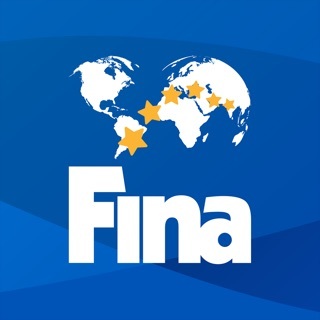 Take part in the contests and polls of the 2nd European Games and cast your vote. Participate and become part of a memorable Games. 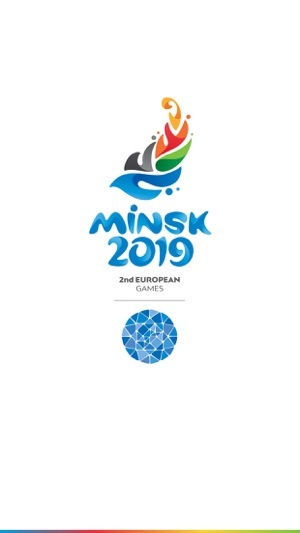 - Explore the city of the 2nd European Games and learn about beautiful Belarus with Minsk 2019. 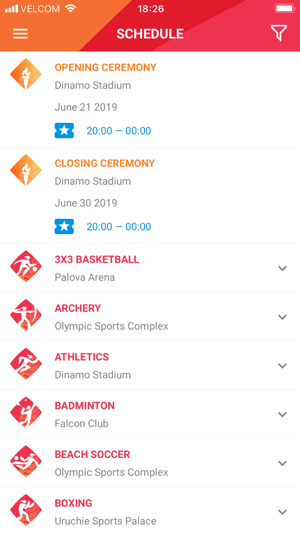 Choose the venue of the sports event and view it on the map. You will be able to see all the competitions set to take place at this venue and how to get there. Read up on the country, learn about new towns and spots full of mysterious history and enjoy your stay in the host country of the 2nd European Games. 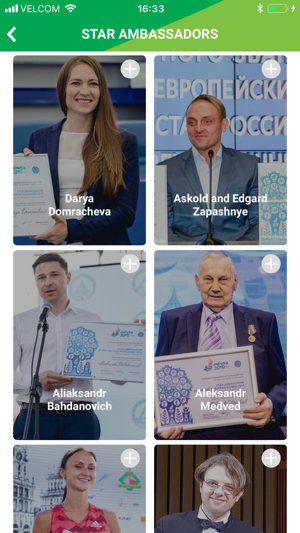 - Share your emotions and memories from Minsk 2019 with your friends and followers through social media platforms. You can re-post all the updated news, photos, videos and information on your social network accounts. 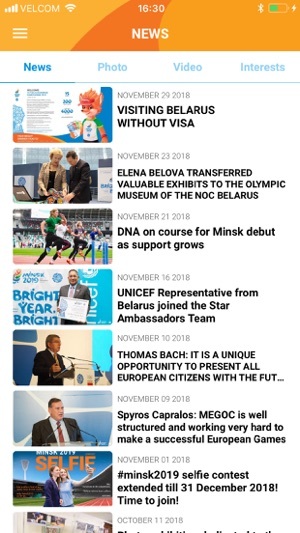 Visit the official social media accounts of the 2nd European Games, see what is new with the Games, find out more about its events and the participating teams. 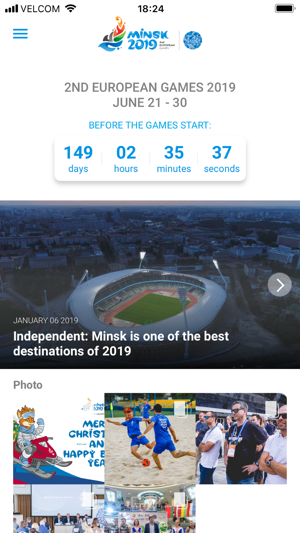 Download the official 2nd European Games app now to stay up to date with information regarding the biggest multi-sports event of 2019.